The heat of the summer season brings dehydration, fatigue, tiredness and weakness, If the diet and lifestyle is not adjusted accordingly, the best way to stay strong, fit and healthy in summers is to keep hydrated by drinking plenty of water, secondly, eating fresh vegetables and fruits full of energy, vitamins, minerals and nature's good is necessary to keep up and active all summers. Today i will share 9 great fruits that nature has gifted us in summers, these fruits help us get going in summers. Apples are always considered great health foods for centuries, fresh supply starts in june-july in most parts of the world so it is one of the best summer fruit. As is concluded in a famous quotation ' An apple a day keeps the doctor away', this can be true if you take it regularly daily, as it helps in controlling blood pressure, cholesterol, balances pH and acid levels, high iron contents of apple help in low blood count disorders like anemia. Apple is traditionally considered a remedy for weak, sick and elderly. 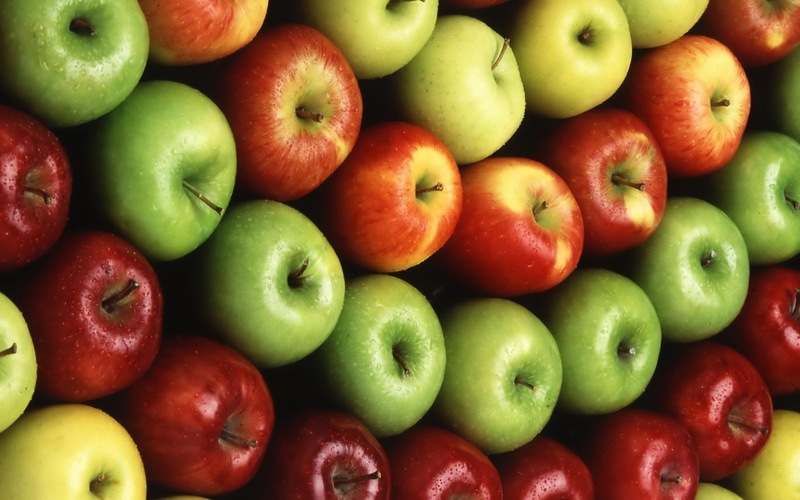 It has many types and colors, always select fresh, seasonal apples. Peaches are colorful, juicy fruits available in summers. Peaches are taken as raw fruits, as smoothie and salad. These are beneficial in disorders of stomach, improves digestion, reduces acidity and also helps to relieve constipation. Peaches are helpful in relieving diabetes and hormonal imbalances. Bananas are full of nutrition, easily available everywhere, in summers bananas are taken raw, as smoothie and milk shakes. It helps relieve constipation and also in diarrhea it provides the required nutrition and fiber for a quick recovery. It improves mood and lowers stress by increasing the serotonin levels in the brain, similarly it helps in controlling high blood pressure. Pomegranate and its strong red color is full of vital nutrients, vitamins, minerals and antioxidants. It exerts positive health effects in the disorders of stomach, heart, high blood pressure, it is also thought to be a blood purifier. 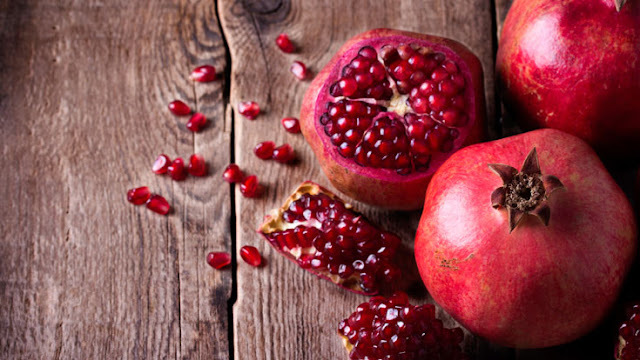 Fresh pomegranates are available in the lateral part of summers, it is taken as raw fruits and also as juice. These are dark blue to purple fruits very good in taste and available in summers. Java plum is beneficial in diabetes, Java Plum's seed powder is also used to control diabetes in traditional medicine. It is also used to relieve diarrhea. The bark of its plant is also used as a tooth remedy. Grapes are available worldwide, it is high energy fruit, juicy and full of sugars/glucose to refresh and rehydrate quickly, not only these are refreshing they provide active energy that is necessary to cope heat and fatigue caused by summers. It is one of the most refreshing, sweet and popular fruit of summers. It is useful in diarrhea and other gastric disorders of summers. Grapes are popular in all forms, as a syrup, vinegar and juice. This fruit is great gift in summers, it helps in purifying blood, lowers thirst in extreme heat. It has refreshing and calming effect in summers, also good for stomach and liver. Papaya is considered as a remedy for all stomach issues, it is widely used for relieving constipation, acidity, indigestion and also acts as a cleansing agent for intestines. Papaya is full of antioxidants, vitamins and trace minerals important to regulate different body functions. This fruit is native in Pakistan and India, but also available in many countries around the world now, it is purplish in color and tastes good. It is very refreshing and calming in hot weather, it is taken directly as fruit or crushed into juice that is very popular in summers. 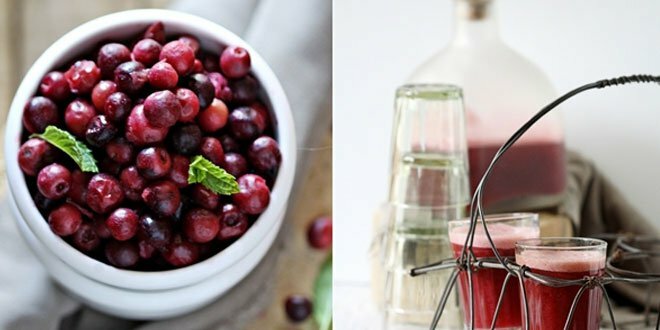 Phalsa helps improve digestion, lowers gastric acid and also relieves other stomach disorders. It is also helpful in Jaundice and high blood pressure. This is just a short list of fruits there are a lot of other summer fruits that are really good for health, here i have listed the top 9 that i like the most as summer fruits. Keep Visiting for more, share the article please.